It is truly an honor to welcome you to the International School of Denver, located in the heart of Denver, Colorado. 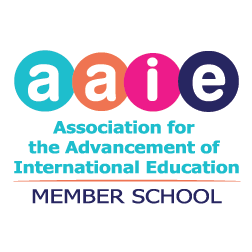 Celebrating 40 years of multilingual, multicultural international education, we are the only front-range school that offers the powerful combination of language immersion from pre-K through 5th grade, followed by the world-renowned International Baccalaureate Middle Years Programme (IB MYP) through 8th grade. The result is a unique community that focuses on global citizenship and maximizes the benefits of the bilingual brain – even 30% of our MYP students’ time is spent learning subjects in and through an additional language. The support for bilingualism is well documented - including superior focus, the ability to tune out distractions, heightened neuroplasticity, and a more enlightened, empathetic view of the world around us – and we are proud of our student’s achievements inside and out of the classroom. Our learning community is indeed special: full of families who intentionally desire a better world, starting with a better education, for all. We focus on positive learning experiences for every child, every day; educated by passionate and experienced teachers who cherish diversity and global citizenship. Ours is a community where the students identified and defined their own values and beliefs, with the notion that those words frame the core of who we are and how we act as a community. Our instruction is engaging and differentiated from student to student, encouraging each individual student to continually reflect and grow, and ensuring that all students are challenged and successful. ISDenver teachers embrace and foster in their students a learning orientation, meaning that we believe effort leads to success, we believe in our own ability to improve, we prefer challenging tasks, and we derive satisfaction from success at different tasks. We believe our students are best prepared when they experience a broad, balanced, and rigorous curriculum for not only the traditional academic studies, but also with a concerted focus on social-emotional learning, weekly physical education, arts and music instruction, integrated Science, Technology, Engineering, Arts and Math units, and access to co-curricular programs that range from cooking, to technology, to sports, to international relations club. Our faculty and staff is a dynamic group of employees who are deeply committed to the school and who are dedicated to providing the best possible, rounded educational experience for each and every child each and every day, whether they are a teacher or a member of the administration and support staff. We invite you to take up the challenge and join the ISDenver team. We encourage you to explore our website and discover more about ISDenver’s guiding principles, international community, and our unique educational model. Nothing compares to seeing the passion and excellence of our teachers and students in action, so schedule a tour today and come see what our school and community have to offer your family.